Lyme disease is a multi-systemic inflammatory disease resulting from an infection from spirochete bacteria of the Borrelia family. Spirochetes are long, thin, spiral-shaped bacteria that have flagella (tails), which aids their movement throughout the body. The periplasmic flagellum of the spirochete underlies the highly invasive abilities of this bacterium as it allows them to move through semisolid environments, such as the body’s connective tissue, which inhibits the movement of most other bacteria (1, 2). Bacteria of the spirochete family include those responsible for diseases such as syphilis (Treponema pallidum), Leptospirosis (Leptospira) and Relapsing Fever (eg: B. hermsii, B. recurrentis). In the initial stages Lyme disease may simply present as a flu like illness, however as the length of time of infection increases Lyme disease “appears as a chronic progressive disease that involves multiple organs, including the heart, the liver, the kidneys, the musculoskeletal system, the skin, and the central and peripheral nervous systems (3:pg 1711)”. When the infection is detected and treated early, the prognosis for a full recovery is excellent. Unfortunately, due to the various ways the illness can manifest, the lack of definitive laboratory tests for diagnosis and more importantly the overall lack of awareness surrounding Lyme disease, many people may go undiagnosed for long periods of time, rendering the treatment and recovery process much more complicated. Lyme disease may also be called; Lyme borreliosis, to account for the numerous species of borrelia associated (see Lyme History and Borrelia Species) or neuroborreliosis, due to the more neurological manifestations associated with some borrelia species, such as B. garinni in Europe. The following uses these terms interchangeably. The clinical picture can vary depending on, the strain of borrelia infection, the strength of a person’s immune system and any co-infections that may be acquired at the same time. The most prevalent species originally found to cause human disease are B.burgdorferi s.s., B. garinii, and B. afzelii. The B. burgdorferi species is associated with an arthritic clinical picture, whilst the first two species identified in Europe have more dermatological (B. afzelii) and neurological (B. garinii) manifestations (1). Initial symptoms may be an Erythma Migrans (EM), a bulls-eye rash (though the number of patients that get this is reported as being anywhere between 30 to 70%) or other type of rash, followed by flu like symptoms. After a short period of localised infection, the bacteria begin to spread throughout the blood to the lymph nodes, joints, heart and the nervous system. Some people may develop worsening symptoms within a month or two of initial infection, whilst in others, once the bacteria has moved out of the blood stream (to avoid detection by the immune system), it may lay dormant for an extended period of time before symptoms become noticeable. This is very much like the bacteria responsible for tuberculosis, in which initial symptoms of the primary infection may be minor, and it is not until months or years later that the disease becomes “re-activated”. This may be due to a person’s immune system being compromised or weakened (2) by events such as: an accident; operation; severe trauma or stress; pregnancy; vaccinations and immunosuppressant drugs such as steroids. Include: “flu-like” feeling, headaches, fevers, muscle soreness, fatigue. “Within days to weeks after disease onset, B. burgdorferi often disseminates widely. During this period, the spirochete has been recovered from blood and cerebrospinal fluid, and it has been seen in small numbers in specimens of myocardium, retina, muscle, bone, spleen, liver, meninges, and brain (9:pg 1096)”. Once the bacteria start to spread throughout the body, symptoms broaden to include: persistent swollen glands; sore throat; joint pain/swelling/stiffness; muscle pain, cramps or weakness; bone pain; numbness, tingling, burning; twitching of the face or other muscles; jaw pain, stiffness, or temporomandibular joint disorder (TMJ); constant headaches; hearing loss; sound and light sensitivity; eye pain, vision problems such as floaters, blurry vision, vision loss; difficulty thinking/concentrating; poor short term memory; mood swings, irritability, depression; anxiety, panic attacks; psychosis (hallucinations, delusions, paranoia); tremors; seizures; Bells Palsy (may be early or latent symptom); chronic fatigue. "Lyme Disease affects the immune system"
A) The spirochete can cause damage to a person’s tissue, organs and bones: The specialised flagella (tail) of the spirochete allow it to move away from macrophages (A white blood cell of the immune system) whose role is to “ingest” infectious bacteria (1). Their axil filaments (endoflagella) also mean they move in a corkscrew like fashion and are able to “screw” their way into bone, tissue, muscles and organs (2). B) The immune system’s response to the spirochetes’ presence in the body and their bacterial lipoproteins: Bacterial Lipoproteins have strong stimulatory properties and whilst most other bacteria only have 3 genes for coding lipoproteins, borrelia has over 105 (3). Basically, the bacterial lipoproteins- which play a role in adhesion to host cells (resulting in vasculitis), modulation of inflammatory processes and virulence factors - of borrelia “cause a dysfunction in the immune system by triggering a complex imbalance of chemical immune mediators (cytokines). These cytokines regulate the immune system and when they are over stimulated, they produce harmful reactions from the immune system, such as pain, inflammation, and even apoptosis (cell death) (4)”. Constant inflammation within the body is associated to many problems: it can increase the risk of cancer (5) and is associated with many autoimmune diseases such as rheumatoid arthritis, endocrine disorders, celiac disease and those that affect the brain such as multiple sclerosis (6,7). Tom Grier gives one explanation as to how inflammation can affect the brain “When the human brain becomes inflamed, cells called macrophages respond by releasing a neuro-toxin called quinolinic acid. This toxin is also elevated in Parkinson's Disease, MS, ALS, and is responsible for the dementia that occurs in AIDS patients. What quinolinic acid does is stimulate neurons to repeatedly depolarize. This eventually causes the neurons to demyelinate and die. People with elevated quinolinic acid have short-term memory problems” (8). (C) In many patients, symptoms seem to migrate from one area of the body to another, or be worse from one day to the next: As well as the stimulatory properties of the bacterial lipoproteins, borrelia are also able to induce anti-inflammatory cytokines, which may “explain the focal and transient nature of inflammatory episodes in Lyme disease” (3). Due to the protean (variable and versatile in their ability to change frequently) manifestations of the disease it is often likened to Syphilis: “Lyme disease is like syphilis in its multisystem involvement, occurrence in stages, and mimicry of other diseases (1:pg 2378 ).” The ability of borrelia to invade every organ in the body, and the widespread inflammation that they induce is an underlying reason that Lyme disease has been misdiagnosed / associated to multiple diseases. Some of these are listed in below. Of course, a diagnosis of any of the above conditions may simply be what they are, however, if someone has received many of these, or they don’t “fit” the clinical picture of a particular disease (ie: MND for example. It is not “typical” for someone in their early 30’s or 40’s to be diagnosed with MND, as the average age of onset is 50-60), investigating underlying reasons would be very appropriate. Journal article abstracts and references for all the above diseases/disorders that Lyme disease has been associated with or misdiagnosed as are being compiled. 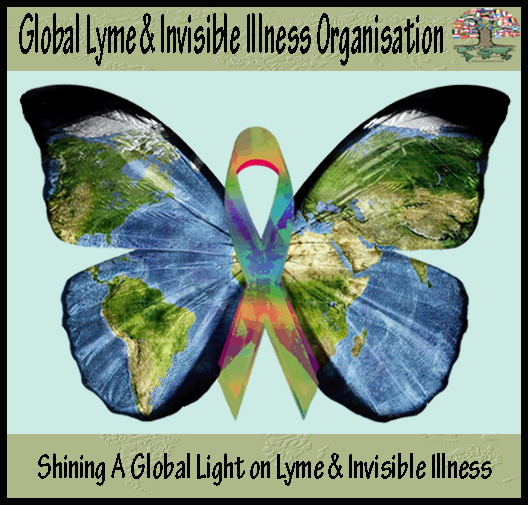 Click here for Health Issues Associated to Lyme, in which abstracts have been compiled for. As Lyme is a vector borne disease (see: Lyme Disease Transmission and Maintenance ), there is the possibility of acquiring co-infections that may be transmitted at the same time. These include: parasitic infections such as Babesia/Theileria and bacterial infections such as Bartonella and the Rickettsial diseases – Rickettsia (either: typhus group, spotted fever group or scrub typhus), Ehrlichia, Anaplasma and Coxiella (Q fever). Immuno-compromised individuals may also be more susceptible to acquiring bacterial infections such as Mycoplasma and Chlamydophila (Chlamydia) pneumoniae (CpN) and viral infections such as Epstein - Barr virus (EBV), and ParvoB19. The acquisition of one or more of these co-infections may alter the severity/course of Lyme disease. It is also noteworthy that whilst other countries recognise that infections due to pathogens such as Babesia, can cause severe illness in humans as well as animals (and can be transmitted via blood transfusions), Australia is yet to acknowledge the potential risks for human disease, even after the death of a NSW male in 2011 due to what was found (autopsy) to be a Babesia infection. “When to Suspect Lyme” is an essay written by John D Bleiweiss (MD). It explains the various symptoms associated with Lyme and how they affect the person’s life very well. “Advanced Topics in Lyme Disease. Diagnostic Hints and Treatment Guidelines for Lyme and Other Tick Borne Illnesses. Sixteenth Edition”. Dr J Burrascano’s 2008 guidelines: This is more of a technical read, though good for understanding the overall treatment of the infections, co-infections and the necessity of supporting the immune system. References: Click Here to go to Lyme Australia Recognition & Awareness, Clinical Picture for References referred to above.